Ever since the revelations of whistleblower Edward Snowden, we think about surveillance as the data-tracking digital technologies used by the likes of Google, the National Security Administration, and the military. But in reality, the state and allied institutions have a much longer history of using everyday citizens to spy and inform on their peers. Citizen Spies shows how "If You See Something, Say Something" is more than just a new homeland security program; it has been an essential civic responsibility throughout the history of the United States. From the town crier of Colonial America to the recruitment of youth through "junior police," to the rise of Neighborhood Watch, AMBER Alerts, and Emergency 9-1-1, Joshua Reeves explores how ordinary citizens have been taught to carry out surveillance on their peers. Emphasizing the role humans play as "seeing" and "saying" subjects, he demonstrates how American society has continuously fostered cultures of vigilance, suspicion, meddling, snooping, and snitching. Tracing the evolution of police crowd-sourcing from "Hue and Cry" posters and America's Most Wanted to police-affiliated social media, as well as the U.S.'s recurrent anxieties about political dissidents and ethnic minorities from the Red Scare to the War on Terror, Reeves teases outhow vigilance toward neighbors has long been aligned with American ideals of patriotic and moral duty. 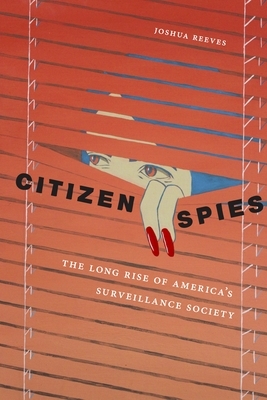 Taking the long view of the history of the citizen spy, this book offers a much-needed perspective for those interested in how we arrived at our current moment in surveillance culture and contextualizes contemporary trends in policing.